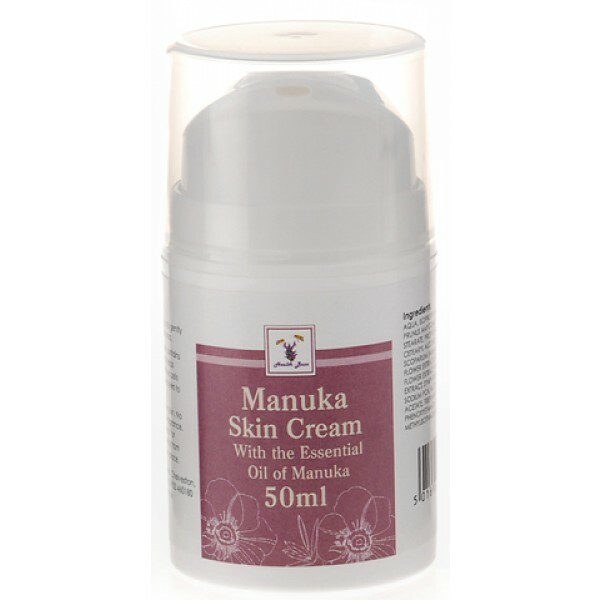 Manuka Essential Oil Skin Cream for Irritated Skin. 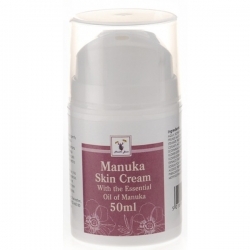 This easily absorbed cream contains Manuka Essential Oil which helps stabilise the skin, activates the cells and regenerates outer skin layers to promote a radiant skin. Ideal for irritated or problem skin. What’s so special about Manuka Oil? Manuka Oil offers stress relief especially for people with sensitive nervous systems and more prone to anxiety and stress. The fact that these activities often manifest themselves in allergic reactions and other such ailments links its use back to dermal benefits. Manuka Oil strengthens the psyche and stabilises the skin at the same time, it relaxes and soothes the skin nerves, activates the cells and regenerates outer skin layers making it more resilient. It is helpful for sensitive skin, especially itching, acne, badly healing skin and inclination to fungal infections, ulcers and bedsores. Apply sparingly to the skin and gently massage into the required area.